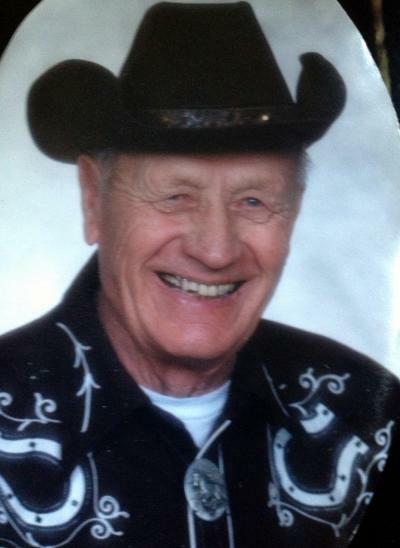 John ‘Jack’ Noga, 87, Homer Glen, Ill.
John “Jack” C. Noga Jr., 87, of Homer Glen, Illinois, formerly of Glencoe, died Thursday, Aug. 13, 2015, at Foster G. McGaw Hospital - Loyola University in Maywood, Illinois. Military honors were by Glencoe VFW Post 5102. Casket bearers were Brad Noga, Thomas Noga, Daniel Noga, Wayne Noga, Scott Noga and Tyler Tassone. Interment was in the Glencoe Catholic Cemetery. John “Jack” C. Noga Jr. was born Sept. 17, 1927, in Silver Lake. He was the son of John and Pauline (Shocinski) Noga Sr. He was baptized as an infant on Sept. 17, 1927, had his first communion on March 3, 1936, and was confirmed in his faith on Oct. 22, 1939, at St. Adalbert’s Catholic Church in Silver Lake. He entered active military service in the U.S. Army on Sept. 23, 1946, and served his country in World War II. He was honorably discharged on May 4, 1947. On Jan. 17, 1948, he was united in marriage to Betty Gieseke at St. George Catholic Church in Glencoe with the Rev. Skoblic officiating. They made their home in Lyons, Illinois, for 20 years (1967-1987), and then returned to spend their retirement in Glencoe. Twenty years after his wife’s death, Mr. Noga moved to a retirement village in Homer Glen, Illinois. Their marriage was blessed with two sons and one daughter, Brad, Tom and Susan. John and Betty Noga shared over 44 years of marriage before Mrs. Noga’s death on Aug. 19, 1992. In addition to being a loving husband and father, Mr. Noga worked at AA Electric in Cicero, Illinois. He was a member of the Church of St. Pius X in Glencoe. He also was a member of the Glencoe VFW Post 5102 and a member in good standing in the International Brotherhood of Electrical Workers Local Nine. Mr. Noga enjoyed woodworking, country music, all things with a Western theme, and maintaining the landscaping at his home, “Fort Noga” in Glencoe. He loved the time spent with his family and friends. He is survived by his sons, Brad (Rosemarie) Noga of Orland Park, Illinois, and Tom (Nancy) Noga of Stickney, Illinois; daughter, Susan Noga of Littleton, Colorado; grandchildren, Sandi Moles, Kristin Kucma, Heather Kucma, Kristy Noga and April Noga; great-grandchildren, Mallory, Skylar and Aiden; brothers, Leonard Noga of Glencoe and Ernie (Marilyn) Noga of Franklin; sister-in-law and brother-in-law, Donna and Larry Stepien of Glencoe; nieces; nephews; other relatives; many friends; dinner group, Rosemarie Schmidt, Mary Brkan and Jean Lewicki. He was preceded in death by his parents, John and Pauline Noga Sr.; wife, Betty Noga; and brothers, Ed Noga, Leo Noga and Irvin Noga.